● THE PAST - What’s your backstory, where are you coming from? Gain perspective by looking back to what made you into who you are today. ● THE PRESENT - To get where you want to go, you have to start from where you are. Clarify your starting point. ● LIFE MAP - Living a good life is about defining what you want from it, and how you want to show up for it every day. Use this tool to clarify the parts of your life you currently want to focus on; how you want to feel within each life area; and what you’ll need to ask of yourself to make progress. ● PRIORITIZER- Life Balance comes from focusing your efforts within each Life Area proportionally to how much it currently needs attention, compared to the others. Use this tool to evaluate the level of priority for each area. ● MASTER PLAN - Create a timeline and a long-term plan for your life. ● FOCUS PLAN - Create a prioritized shortlist of the top 3 goals you need to focus on next. This is a 10-page PDF printable (10 tool pages, 1 cover/contents page, and 1 ending page). FORMAT: There's margin on the sides that allows use within a binder folder. This is a digital product, and no physical item will be shipped out. Instead, as soon as your payment is processed, you'll receive the links to your files. You'll then be able to download and print them off your printer, as many times as you'd like. Please note that there are no returns for refund on digital products. However, if you have any questions or issues, contact me and I'll do my best to help. © 2016 LuckyLifeTools.com // These files are intended for personal use only. By purchasing them you agree to not share or resell them, even if you edit them. Monthly List / Calendar - Year at a glance, by LUCKY Life Tools - Printable PDF; Letter size 8.5"x11"
2019 Monthly Planner / Calendar, DATED (vertical, horizontal, binder, timeline), by LUCKY Life Tools - Printable PDF; Letter size 8.5"x11"
Yearly Planner / Calendar 2020, by LUCKY Life Tools - Year at a glance - Printable PDF; Letter size 8.5"x11"
Yearly Planner / Calendar 2019 - DATED - Year at a glance, by LUCKY Life Tools - Printable PDF; Letter size 8.5"x11"
★ FOR DIGITAL PRODUCTS ★ Please note that there are no returns for refund on digital products. However, if you have any questions or issues, please contact me and I'll do my best to help. ★ FOR PHYSICAL PRODUCTS ★ For our dated planners, we accept returns initiated within 7 days of receiving your item, as long as it's mailed back in re-sellable condition, and with a tracking number. For undated planners and other items - same conditions apply, but we are able to accept returns initiated within 30 days. 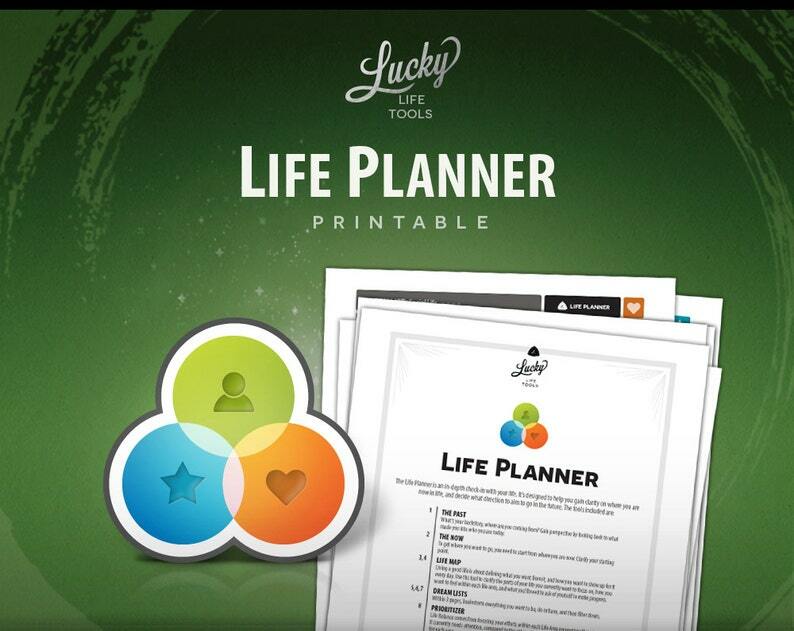 ★ FOR DIGITAL PRODUCTS ★ LUCKY Life Tools printables are intended for personal use only. By purchasing them you agree to not share or resell them, even if you edit them. Habit Builder / Tracker & Calendar "Don't break the chain", by LUCKY Life Tools - 30-day, 90-day, 180-day, 1-year; Printable PDF; 8.5"x11"